Cover: Cannonball, or Tskawahyah, Island, Cape Alava, Washington coast. Photograph by Zach Mazur. 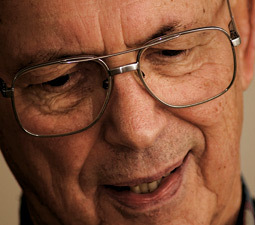 Ed Claplanhoo '56 was tribal chairman of the Makahs when a February storm exposed the village that helped confirm much of the tribe's oral history. 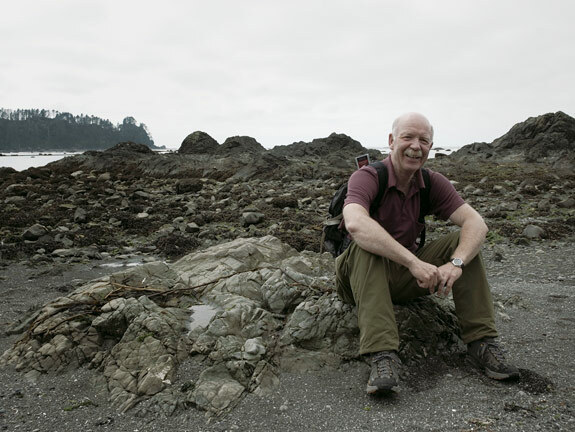 Paul Gleeson '80 Ph.D. was assistant director of the Ozette project and worked at the site off and on 1971-81. He is now head of cultural resources for Olympic National Park. 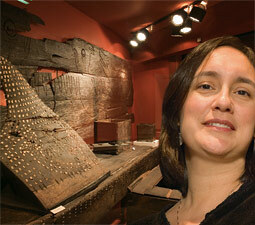 Janine Bowechop is executive director of the Makah Cultural and Research Center in Neah Bay. 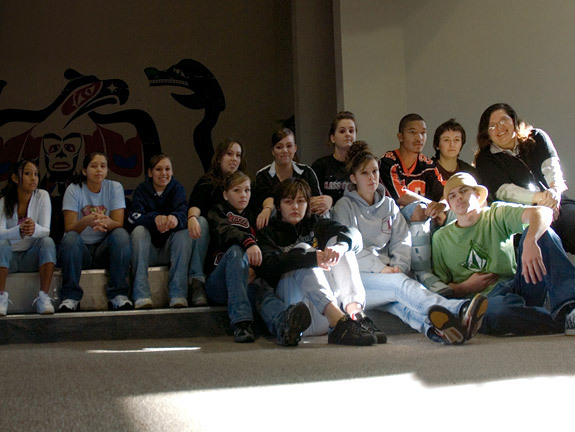 Sharon Kanichy (back row, right) teaches high school history in Neah Bay. She was born the month of the storm that exposed Ozette to the world. The two extremes of archaeological sites are wet and extremely dry, says archaeologist Richard Daugherty. "That's where you get your preservation—and in between it all goes to hell." He laughs, but that's about the gist of it. Wet-site archaeology potentially offers the best preservation, as was the case with Ozette and other sites on the Olympic Peninsula, such as another WSU excavation at Hoh River, and the ongoing excavation at Squaxin Island, near Olympia. But wet-site excavation is very expensive, requiring special techniques both for excavation and preservation. At Ozette, the mudslide that buried the longhouses also preserved them because of the resulting oxygen-free conditions. Many of the artifacts recovered from Ozette are much the same as they were when they were buried. Once they're exposed to oxygen, however, they begin to get brittle and disintegrate. So everything that came out of the excavation immediately went into a preservative bath of polyethylene glycol. The chemical forces the water out of the artifact and solidifies it. Getting the delicate artifacts out of the slide in the first place provided the initial challenge. Most of the wet site was excavated hydraulically. The Ozette archaeologists pumped seawater at various pressures for different stages of excavation. Initial clearing was with high pressure. Once artifacts started to show, lower-pressure garden hoses were used to clean and remove the artifacts. THERE'S A WELL-KNOWN PHOTOGRAPH taken by Native American chronicler Edward Curtis in 1915 of a Makah whaler. Dressed in an animal skin, the man is longhaired and wild. He had indeed been a whaler, as had generations of his people. But still, the photograph is a memory of a time already past. Curtis provided Wilson Parker with a hide and a wig to replace the European clothes the Makahs had adopted long before. In spite of Curtis's fiction, however, there is much to be learned from Wilson Parker, the man in the photograph. As is always the case with a good myth, there is a deeper truth that lies beneath the surface story. Parker is Sharon Kanichy's great-great-grandfather, she tells me as we talk in the Makah cultural center in Neah Bay. Kanichy '01 was born in February 1970. That same month, a powerful storm blew in off the Pacific, eroding the bank above the beach at Cape Alava, on the Olympic Coast, revealing something remarkable. "All we knew was there was a burial site," says Ed Claplanhoo of the buried longhouses revealed by that February storm. Claplanhoo '56 was Makah tribal chairman in 1970, so it was he who got a phone call the first Saturday in February, from a hippie schoolteacher, as Claplanhoo describes him. A dubious character, says Claplanhoo, which is why he didn't take the fellow seriously when he tried to warn Claplanhoo that "people" were getting in the "house" and taking "artifacts." Claplanhoo knew everyone in Neah Bay and knew everyone who owned artifacts. He'd heard of no problems. But the fellow persisted. The next Sunday, the same phone call. "Mr. Claplanhoo, they're still taking artifacts out of the house." "So I said okay," says Claplanhoo, "I'll tell you what, you come to my house at seven o'clock tonight and we'll talk about it." What Claplanhoo heard from the hippie schoolteacher finally got his attention, once he understood the "house" was not in Neah Bay, but at Ozette, at Cape Alava. Twenty miles south of Neah Bay, reachable only by boat or a four-mile hike from the nearest road, Ozette was one of five traditional Makah villages. Ozette was ancient, far older than any of the Makah stories or songs remembered. It had been abandoned only in the 1920s, when the federal government forced the last remaining inhabitants to move to Neah Bay so their children could attend school. The next morning, Claplanhoo convened the tribal council to discuss the matter. It happened to be an unusually beautiful and calm day for February, so one of the council members offered to launch his speedboat. Claplanhoo told them to investigate and to invoke the Antiquities Act, if they found anyone retrieving artifacts. When they returned to Neah Bay that evening, both the investigators had hats full of artifacts they'd confiscated from people digging at the site. 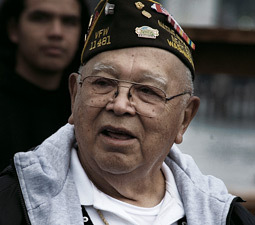 The next morning, Claplanhoo called Richard "Doc" Daugherty, who had been an archaeologist at Washington State College. He and Claplanhoo met in the early 1950s. He had been the freshman class advisor, and Claplanhoo the class treasurer. "We had a lot to talk about," says Daugherty of Claplanhoo. Daugherty grew up in Aberdeen, on the southern Olympic Coast. Following World War II, during which he'd served as a blimp pilot in the North Atlantic, he returned to the University of Washington. In the summer of 1947, he and a colleague from Berkeley surveyed archaeological sites in Oregon, Washington, Idaho, and a bit in Montana. But his true love was the coast. Although archaeologists had completed some ethnographic studies, of the Quinault, for example, and had acquired some knowledge of village sites, by the late 1940s a systematic survey of coastal archaeological sites had yet to be done. 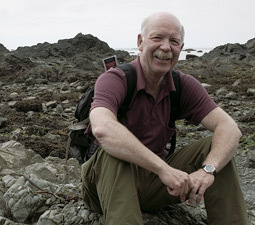 Daugherty convinced the chair of the anthropology department at University of Washington to provide funds for him to spend a summer surveying archaeological sites along the Olympic coast. She came up with $900 and a university vehicle. With his wife and daughter, Daugherty set out from the mouth of the Columbia and worked his way up the coast, exploring beaches and bays, questioning residents about possible Native village sites, making it as far as La Push that first summer. He continued the next summer, at the end of which he'd identified some 50 sites along the coast. But even then, Daugherty recognized that Ozette was "extraordinary." The problem was, all the money for Northwest archaeology at the time was directed to the interior. Dams were going in, and money was flowing from the Corps of Engineers and other sources to salvage archaeological sites before they were flooded. But there was no money for coastal exploration. 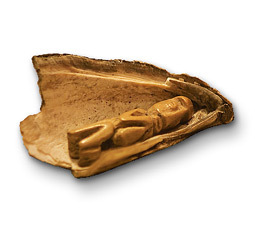 By the mid-1960s, Washington State University was the powerhouse of Northwest archaeology. Daugherty had helped build an extraordinarily innovative department, defining how archaeology would be done from then on. He and others in the program realized that truly understanding the rich ancient culture of the Northwest required more than traditional archaeological expertise. Before there were specialized subdisciplines within archaeology, they hired a geologist to interpret the geological context, a soil scientist to make sense of the layers of soil they would descend through, a zoologist to understand the animal remains of the rich middens — scientists whose names would become legendary in Northwest archaeology. Dozens of graduate students provided both physical and intellectual labor. It was a magical time. Actually, says Daugherty, it was a madhouse. Amidst it all, in spite of the urgency of projects in eastern Washington, Daugherty was determined to return to the coast. With WSU geologist Roald Fryxell, Daugherty won a National Science Foundation grant for a field school study in 1966-7 of the Ozette site. They excavated a deep trench from the present high-tide line 200 feet up the slope. What they found by the end of the 1967 field season indicated that the site was richer than Daugherty had imagined. Radiocarbon dating placed the oldest trench deposits at 1,600 years old. Deposits on top of Cannonball Island, just offshore, were over 2,000 years old. Artifacts included harpoons, whistles, combs, gambling pieces, and carvings. Whale bones were prevalent all through the deposits. Then they started finding the really interesting stuff. A wet part of the bank revealed perfectly preserved cedar rope and fragments of mats and baskets. These things don't normally occur in such sites, as they decay rapidly under normal conditions. What these findings would confirm was Makah oral tradition that a mudflow had swept over Ozette, burying houses. The wet, oxygen-free condition created by the 10-foot thick clay of the ancient landslide had enabled objects to remain perfectly preserved beyond the wildest dreams of archaeologists. What lay beneath them, the archaeologists were starting to realize, was an American Pompeii. Only this was better than Pompeii. Rather than mere impressions in volcanic ash, the things buried by the mudslide were intact. But summer was over, the money had run out, and Daugherty and the others were called back to eastern Washington by the discovery of the Marmes rock shelter and its skeletal remains, which were threatened by the rising waters behind the Lower Monumental Dam. Daugherty and Fryxell closed the Ozette site, realizing it was far too valuable to disturb except through a full-scale, very expensive exploration. But now a February storm had moved Ozette from wishful thinking to urgent. Daugherty agreed to meet Claplanhoo at the Ozette site that Sunday. What he found there left Daugherty no choice but to reopen the site before storms and looters destroyed any more. A canoe paddle. Wooden halibut hooks. A harpoon shaft. House planks. What had been revealed by the storm defined the next 11 years of their lives. It appears likely from the geological and historic record, that on January 26, 1700, an earthquake of magnitude 9 shook the water-saturated hill above Ozette. There was no escaping the resulting mudslide. Sudden and massive, it buried five longhouses, destroying them — but also preserving the broken complexity of those households and their reflection of Makah culture beneath wet, oxygen-free clay. "ONE OF THE NEAT THINGS IS, we lived here year round," says Paul Gleeson ('80 Ph.D.), as we stand on the beach below Ozette. Jeff Mauger ('78 Ph.D.) and Gleeson were assistant directors of the field camp that grew up at Ozette when Daugherty was off raising money to keep the place going. He wrote his dissertation on the wood technology of the Makahs as revealed by Ozette. Gleeson is now head of cultural resources for Olympic National Park. As a result of their year-round occupation, "What we discovered is the winter storm patterns." Ozette was occupied for at least 2,000 years for good reason. Winter winds, Gleeson and the other hardy year-round archaeologists discovered, were out of the southwest. But as you move farther and farther up the beach — to this point, he says, standing below Ozette — the area is protected from wind and waves. Additional protection from winter swells is provided by the rock shelf that extends 1,800 feet out from the beach. Cannonball Island, a tall sea stack that you can walk out to at low tide, provided an impregnable defense against enemies. It is also an excellent place to beach a whale. One of the main things the Ozette excavation confirmed was that the Makahs had long been whalers. Whale bones were everywhere throughout the dig, often blocking excavation. Whale accounted for three-quarters of the faunal remains recovered from the site. But the Ozettes did not live by whale alone. They also ate fur seal and sea lion, salmon, halibut, lingcod, elk, waterfowl, and many kinds of shellfish, as well as salmonberries, huckleberries, salal berries, and elderberries. Gleeson worked on the site in 1966 and wrote his master's thesis on it. He then took a job at the University of Tennessee, but Daugherty invited him back to Ozette in 1971. He would spend the next 10 years, off and on, at the site, running the summer school, filling in with Mauger for Daugherty. In 1972-3, he was at the site for 14 months straight. By then a whole new village had grown up at the site to house and feed everyone. The village had a water system and 24-hour electricity, provided by a generator flown in by helicopter. Senator Henry Jackson had asked the Marine commandant at Whidbey Island for helicopters, which not only flew in supplies, but also flew artifacts to a laboratory and storage facility that had been set up in Neah Bay. There was a dining hall and a full-time cook during the summers, feeding as many as 55 people. Winter crews would shrink to 10 or 12 people. The crew would take two days off during the week, so they could be working when the public came to visit over the weekends. In spite of the four-mile hike in to the site, thousands of people visited. Daugherty was adamant that the work be accessible to the public. He believed that if the public was paying for archaeology, they should be able to visit and participate in the revealing of our collective history. Greg Colfax, a Makah artist and fisherman who grew up in Neah Bay, was a teenager when the dig began. "I went down there and was looking around," he says. "They said 'you can come down here. Makahs are welcome.'" So Colfax went to Seattle, bought himself a backpack and sleeping bag, and lived in the new Ozette for the summer. "It was the home of my family," he says. "I'd come back home and tell my grandpa about it. He'd say, 'You're going home, boy.' He had a lot of Ozette stories. He lived down there. He hunted out of there, hunted fur seals." 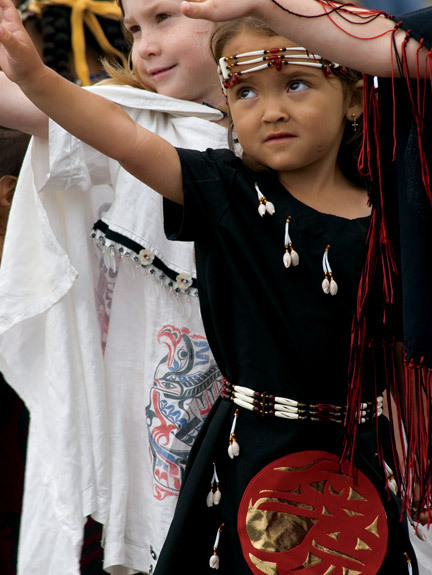 Makahs had lived in Ozette for 2,000 years and probably much longer. The village had been abandoned for only 60 years, and many Makahs still went there to fish and hunt. Many had lived in Ozette, or had parents or grandparents who had lived there. 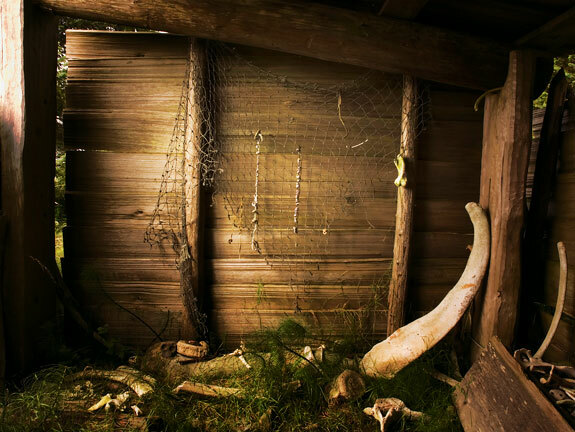 One elder called the exposure of the longhouses by the storm "a gift from the past." When the archaeologists would find something they couldn't identify, says Colfax, "they came back to Neah Bay and talked with the old folks. "What did you use this for? What is this? That's a game. That's a paddle. The kids were playing games by where the fish were hanging and kept the birds away." There was much occasion to confer with the elders, as the contents of the three longhouses eventually excavated were incredibly diverse and plentiful. According to Archaeology in Washington, coauthored by Daugherty and Ruth Kirk, "By the time the excavation closed in 1981, the printout for the site listed 40,000 structural remains varying from entire support posts and beams, wall planks, and roof planks to fragments as small as splinters; uncounted wood chips and other debris; a million animal and bird bones and shells; and 55,000 whole artifacts and pieces of artifacts . . .; catalog entries . . . enumerate 1,434 arrow shafts; 103 bows; 110 harpoon shafts; 629 halibut hooks and hook shanks; 324 canoe paddles; 840 wooden boxes; 112 wooden bowls; 46 game paddles; 1,160 wedges; 579 whetstones; 30 iron blades (the metal probably from disabled ships that drifted across the Pacific from the Orient); 1,000 baskets (half of them intact); 80 tumplines; 41 cedar-bark harpoon sheaths; 13 looms." Three houses. And this is just a partial list. What it reveals is an extraordinarily complex culture. The numbers do not indicate the beauty and artistry of many of the items, even the most mundane. The artifacts also reveal a rare glimpse of coastal culture in general. Nearly all coastal native technology before European contact was based on wood. As it decays so quickly, a wet preserved site such as Ozette offers extraordinary insight into that technology. Wood, of course, was also the construction material for the longhouses themselves, built of long cedar planks up to three feet wide. Canoes of all sorts — whale-hunting canoes, seal-hunting canoes — were carved from whole cedar trunks. Canoe accessories, the paddles, bailers, storage boxes, were all wood. Stopping briefly on the trail down to Ozette, Gleeson, who wrote his dissertation on the wood technology, speaks with wonder and excitement of co-worker Jan Friedman's first realization decades ago of how the Ozette people made the wedges they used to split the cedar planks. The wedges were not made from harder inland yews, but rather from local spruce, assumed to be much too soft for such a use, even with cedar. What Friedman finally realized, Gleeson explains, spreading his arms like spruce limbs to demonstrate, is that they used the compression wood, the denser wood that makes up the bottom of the limb, which makes it possible for a limb to span seemingly impossible distances. The expertise and knowledge the Makah had gained from centuries of observation and experimentation were revealed throughout the houses. Carving knives were made from beaver teeth embedded in a wooden shank. Mussel-shell harpoon blades and elkhorn barbs were swathed in cherry bark strips. Another fortuitous gift was the fact that portions of the longhouses were workshops, with tools and other household objects in various stages of production, thus giving Gleeson and others an unprecedented opportunity to understand the manufacturing process of many of the artifacts. A FREQUENT VISITOR to the Ozette site was Ruth Kirk, who, often, with photographer husband Louis, documented much of Northwest archaeology and natural history, including, eventually, Ozette. "I first went out in 1966," says Kirk. "I already had many Makah friends." What attracted Kirk to the enterprise was the interdisciplinary effort, all focused on one question. That, and the powerful sense of camaraderie. "There's something about working in dust and mud," she says. "The Ozette people were like family." Kirk wrote, with Daugherty, the most comprehensive account of Ozette, Hunters of the Whale, a book for juvenile readers. She published the book in 1974, not even halfway into the whole expedition. Still, it captures beautifully the complexity and wonder of the site, also expressing an approach and attitude she stated recently. "The more we know about the state in which we have our dance with life, the more invigorated and content and responsible we are." The author of nearly 30 books, many about the Northwest, Kirk often wrote about and collaborated with Daugherty. After their respective spouses died, Kirk and Daugherty married, in a ceremony in a longhouse at Neah Bay. JANINE BOWECHOP was a little girl when the Ozette longhouses were unearthed. 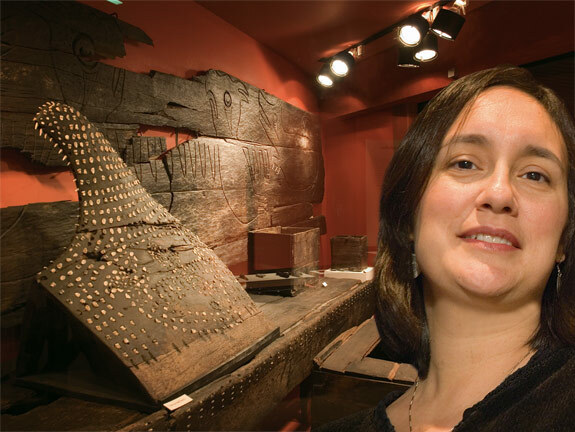 She is now the executive director of the Makah Cultural and Research Center, as well as the Tribal historic preservation officer. 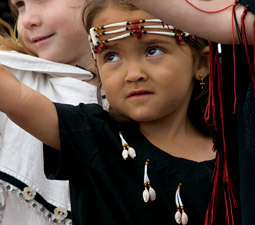 As we talk at the center in August, she worries that it will rain tomorrow, the beginning of the annual Makah Days. The school gym, where the dancing usually takes place, is being renovated, so the dancing will have to take place outside. Bowechop must have guessed that I started out with the premise that the Ozette dig revived Makah culture, which I believed before I knew anything about the Makahs. I had long since abandoned that notion; nevertheless, Bowechop politely, but firmly, makes sure that I am disabused of such a misperception. "The Makah were not fading away before the excavation," she begins. "The Makahs would not have stopped singing family songs, wouldn't have stopped preserving the language if it weren't for the excavation." Apparently satisfied that her point has been made, she talks about what the 11-year excavation did do. It drew young people into "the process of excavating our past. They learned the science of archaeology." The experience was one of acceleration, she says. By visiting the site, and living with its presence, and working with the artifacts, many learned much about Makah fishing and hunting technology and ritual in a short period. "It was an intensified learning process," maybe generating more meaningful questions than would have arisen otherwise. "But I would never go so far as to say that it caused a revival of Makah culture." As unique as the Ozette excavation was in so many ways, it also stood apart, at least from more traditional archaeology, in that nothing from the site left the Makah reservation. Everything discovered there is either displayed here in the cultural center or stored in the state-of-the-art storage warehouse. The museum is expertly curated and beautiful, the artifacts mesmerizing. One would assume that there was occasional friction, as was often the rule in earlier Native archaeology. But Bowechop attributes a large share of credit to Daugherty for the project's success with the tribe. "Doc Daugherty was brilliant with PR," she says. "He knew to create relationships among the whole tribe, not just work with two or three people. 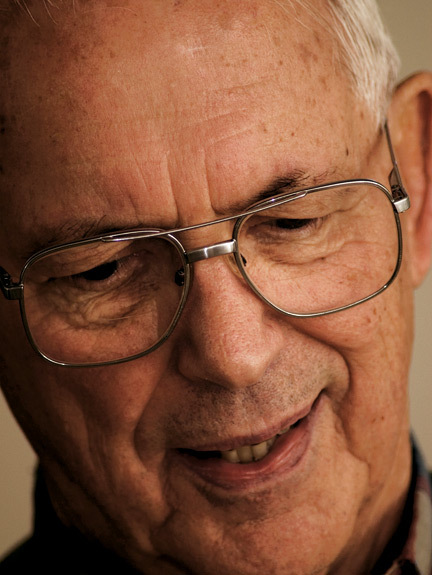 He knew he had to connect with a wide range of elders." She turns now to Paul Gleeson. "Paul knows as much about Makah prehistory as anybody. He's the perfect person to be working for the park. When it comes to cultural resource management, I think the Makahs and the Olympic National Park have a better relationship than you might see across the whole country. So much of it has to do with the time he [Gleeson] spent at Ozette." SHARON KANICHY, who was born the month of the auspicious storm, now teaches history at the high school in Neah Bay. "Growing up, I thought, well, Ozette was this archaeological dig. I didn't realize it was this great find. I didn't realize it was a temporary deal. I didn't realize the impact on fishing rights for all the Indians of Washington. It was just a part of my life." But now, as a history teacher, she marvels at the added dimension to the history of her people and of Washington. "I teach Washington history," she says. "Kids will see something [from Ozette] in the textbook, and they'll say, oh look, that's in the museum." 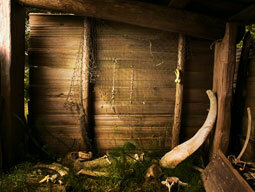 :: The prehistoric uses of wood at the Ozette archeological site. Janet Friedman. 1975.
:: An archaeological survey of Makah territory. Edward Friedman. 1976.
:: Basketry from the Ozette Village archaeological site. Dale Ross Croes. 1977.
:: Shed roof houses at the Ozette archaeological site. Jeffrey E. Mauger. 1978.
:: Ozette woodworking technology. Paul F. Gleeson. 1980.
:: Shell middens as cultural deposits. Gary Charles Wessen. 1982.
:: Ethnobotany of the Makah and Ozette People, Olympic Peninsula, Washington (USA). Steven J. Gill. 1983.
:: Mammals and fish in the subsistence economy of Ozette. David R. Huelsbeck. 1983.
:: Spatial patterns and cultural processes in three northwest coast longhouse floor middens from Ozette. Stephan Richard Samuels. 1983.